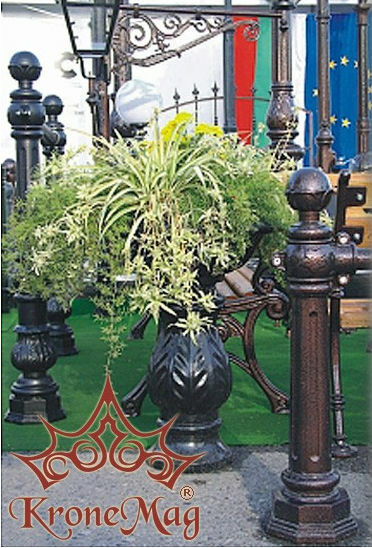 Flowers Support for Parks and Gardens "206 " is integral made from cast iron. This flower stand is ideal outdoor additional decorative element for your garden as well for public places, like city centers and parks. The cast iron and metal parts of the street post are powder coated. The coating is applied electrostatically and is then cured under heat to allow it to flow and form a "skin". It is used to create a hard finish that is tougher than conventional paint, which gives the product a higher resistance over time. For special orders ( with aditional cost depending on quantity ) please contact our sales department and refer to our RAL Colour Chart.